"For over three decades, the great inventor and futurist Ray Kurzweil has been one of the most respected and provocative advocates of the role of technology in our future. In his classic The Age of Spiritual Machines, he presented the daring argument that with the ever-accelerating rate of technological change, computers would rival the full range of human intelligence at its best. 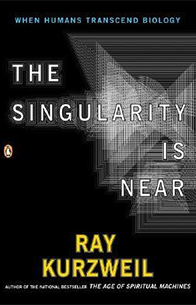 Now, in The Singularity Is Near, he examines the next step in this inexorable evolutionary process: the union of human and machine, in which the knowledge and skills embedded in our brains will be combined with the vastly greater capacity, speed, and knowledge-sharing ability of our own creations." Kurzweil, Ray. The Singularity is Near: When Humans Transcend Biology. New York:Penguin Group, 2005. “The world is on the cusp of a global turn. The Wests’ preeminence is slipping away as China, India, Brazil and other emerging powers rice. 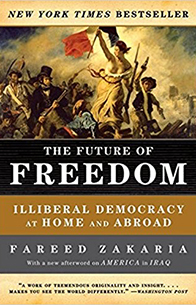 Although most strategists recognize that the West is on the wane, they are confident that its founding ideas—democracy, capitalism, and secular nationalism—will continue to spread, ensuring that the Western order will outlast its primacy. 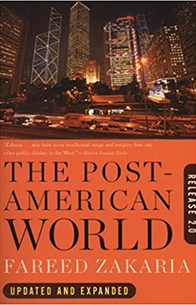 “In No One's World, Charles A. Kupchan boldly challenges this view, arguing that just as the rise of the West was the product of social and economic conditions unique to Europe and the United States, ascendant regions will follow their own paths to modernity and embrace their own conceptions of domestic and international order. He contends that the twenty-first century will not belong to America, China, Asia, or anyone else. It will be no one’s world. For the first time in history, the world will be interdependent—but without a center of gravity or global guardian. Hupchan, Charles A. 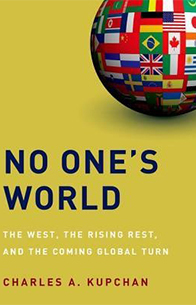 No One’s World: The West, the Rising Rest, and the Coming Global Turn. Oxford:Oxford University Press, 2012. Dobbs, Richard. 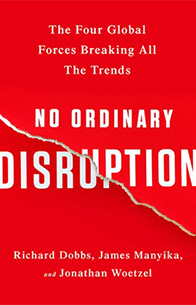 No Ordinary Disruption: The Four Global Forces Breaking All the Trends. New York:PublicAffairs, 2016. Friedman, George. 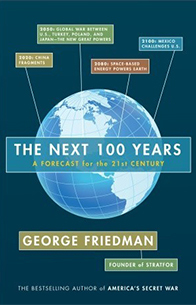 The Next 100 Years: A Forecast for the 21st Century. New York:Anchor Books, 2010. Friedman, George. 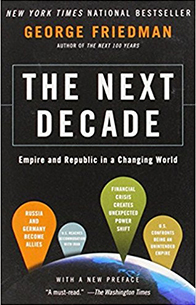 The Next Decade: Empire and Republic in a Changing World. New York:Anchor Books, 2012. Zakaria, Fareed. The Post-American World: Release 2.0. New York:W. W. Norton & Company, Inc., 2011. Kahnna, Parag. 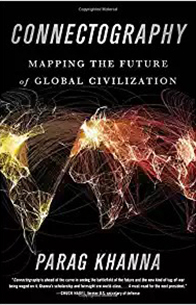 Connectography: Mapping the Future of Global Civilization. New York:Penguin Random House, 2016. 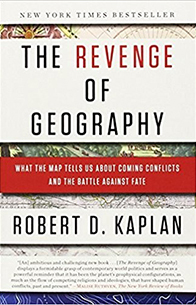 Kaplan, Robert D. The Revenge of Geography: What the Map Tells Us About Coming Conflicts and the Battle Against Fate. New York:Random House. 2013. Zakaria, Fareed. The Future of Freedom. New York:W. W. Norton & Company, Inc., 2007. “Christianity is the world's largest religious grouping. It has undergone massive change in the twentieth century, and seems poised to undergo major transformations in the twenty-first. In this important and timely book, one of Christianity's most prolific and respected writers examines these changes, and their implications for the future. Will Christianity survive? And if so, in what forms? And what might its impact be upon culture? How does its past affect its future? 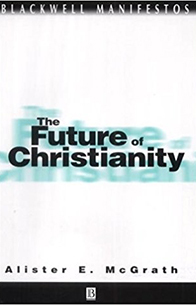 What does the future hold for the various types of Christianity? McGrath, Alister E. The Future of Christianity. Oxford:Blackwell Publishers Ltd, 2002. “Space elevators. Internet-enabled contact lenses. Cars that fly by floating on magnetic fields. This is the stuff of science fiction—it’s also daily life in the year 2100. Kaku, Michio. 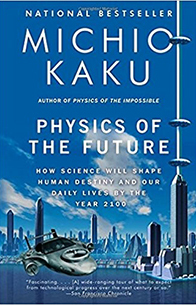 Physics of The Future: How Science Will Shape Human Destiny and Our Daily Lives by the Year 2100. New York:Random House, 2011. 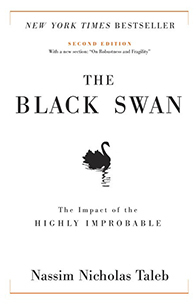 “A groundbreaking book, The Second Machine Age crystalized the debate over the pace of technological change and its effect on the economy, vaulting onto best-seller lists with its whip-smart explanation of the forces behind everything from Jeopardy! champion computers to self-driving cars. In an eye-opening analysis, MIT’s Erik Brynjolfsson and Andrew McAfee—two thinkers at the forefront of their field—reveal the forces driving the reinvention of our lives and our economy, and present a blueprint for how to both build and share prosperity in the Second Machine Age. Brynjofsson, Erik and Andrew McAfee. 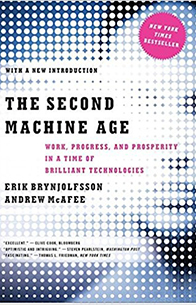 The Second Machine Age: Work, Progress, and Prosperity in a Time of Brilliant Technologies. New York:W. W. Norton & Company, Inc., 2014. “Today social and political change can happen in an instant, and foresight is critical. For the past decade Mat Burrows has helped the United States combat the unknown through the creation of the Global Trends report. Used by the White House, the State and Defense departments, and Homeland Security, this key futurist guide employs the most advanced research and data at the government's disposal to predict our future. Now, Burrows—for the first time—has expanded and updated the most recent Global Trends report, forecasting the tectonic shifts that will drive us to 2030. What are the key threats and opportunities facing the United States? Which way are the Middle East, Russia, and China headed? If we want to secure our future, Burrows argues, we cannot disengage from the rest of the world. (And, interestingly, most of the rest of the world doesn't want an inward-focused United States either.) And we will only be in charge of our destiny if we come to terms with the multifaceted technological revolution and begin to make some deliberate choices. We need better education to prepare for the churn in the workforce. We need to decide if we want to play God and select our children's traits. positively, where the United States and China patch up their differences and the US middle class stems its decline. Burrows, Mathew. 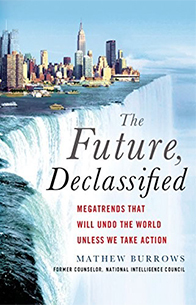 The Future Declassified: Megatrends That Will Undo the World Unless We Take Action. New York:St. Martin's Press, 2014. “Many nations, peoples and special-interest groups believe that violence will advance their cause. Warfare has changed greatly since the Second World War; it continued to change during the late 20th century and this process is still accelerating. 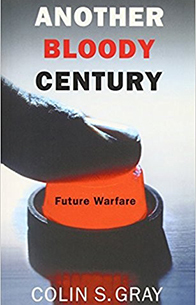 Gray, Colin S. Another Bloody Century: Future Warfare. London:Weidenfeld & Nicolson, 2005. “A global pandemic finds millions swarming across the U.S. border. Major American cities are leveled by black-market nukes. China’s growing civil unrest ignites a global showdown. Pakistan’s collapse leads to a hunt for its nuclear weapons. What if the worst that could happen actually happens? How will we respond? Are we prepared? “These are the questions that Andrew F. Krepinevich asks—and answers—in this timely and often chilling book. As a military expert and consultant, Krepinevich must think the unthinkable based on the latest intelligence and geopolitical trends—and devise a response in the event our worst nightmares become reality. 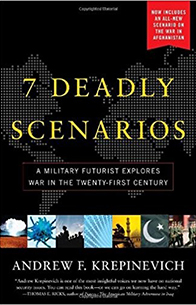 Krepinevich, Andrew F. 7 Deadly Scenarios: A Military Futurist Explores War in the 21st Century. New York:Bantam Books, 2010. 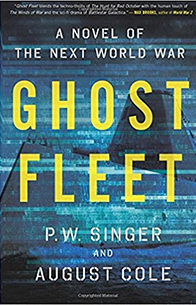 “Ghost Fleet is a page-turning imagining of a war set in the not-too-distant future. Navy captains battle through a modern-day Pearl Harbor; fighter pilots duel with stealthy drones; teenage hackers fight in digital playgrounds; Silicon Valley billionaires mobilize for cyberwar; and a serial killer carries out her own vendetta. Ultimately, victory will depend on who can best blend the lessons of the past with the weapons of the future. But what makes the story even more notable is that every trend and technology in book—no matter how sci-fi it may seem—is real. In one of Robert A. Heinlein’s most controversial bestsellers, a recruit of the future goes through the toughest book camp in the Universe—and into battle with the Terran Mobile Infantry against mankind’s most alarming enemy." 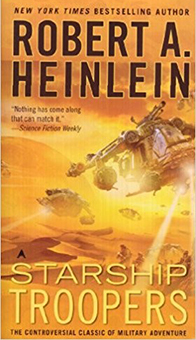 Heinlein, Robert A. Starship Troopers. New York:Penguin Group, 1959. 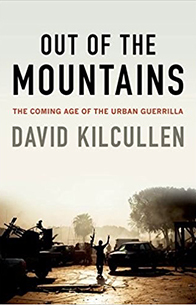 “A sobering and fascinating study on war in the modern era, Unrestricted Warfare carefully explores strategies that militarily and politically disadvantaged nations might take in order to successfully attack a geopolitical super-power like the United States. American military doctrine is typically led by technology; a new class of weapon or vehicle is developed, which allows or encourages an adjustment in strategy. Military strategists Qiao Liang and Wang Xiangsui argue that this dynamic is a crucial weakness in the American military, and that this blind spot with regard to alternative forms warfare could be effectively exploited by enemies. Unrestricted Warfare concerns the many ways in which this might occur, and, in turn, suggests what the United States might do to defend itself. Liang, Qiao and Wang Xiangsui. 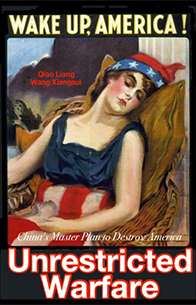 Unrestricted Warfare: China's Master Plan to Destroy America. Marina Del Ray:Shadow Lawn Press., 2017. Hammes, Thomas X. 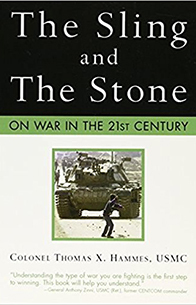 The Sling and the Stone: On War in the 21st Century. St. Paul:Zenith Press, 2006.